Sharing in Microsoft Office365 is not restricted to users registered in your Office365 profile. Through Microsoft SharePoint Online it is possible to invite external users into your collaborative workspaces and extend your teams securely. Most importantly this can be done at NO extra charge, or at least for the first 50 external users. Microsoft provides by default with Office 365 SharePoint x50 external user licenses. More can be purchased if this limit is hit. The challenge most organisations have had with this feature is the lack of clarity around what these external users must do to be able to be invited. For some customers it has been a frustrating experience as Microsoft’s multiple online account systems and talent with naming conventions help to muddy the water. 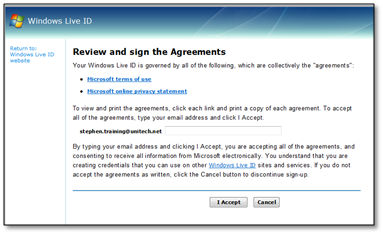 Microsoft Live ID (formerly Microsoft Passport) – Allows you to register using your own domain. 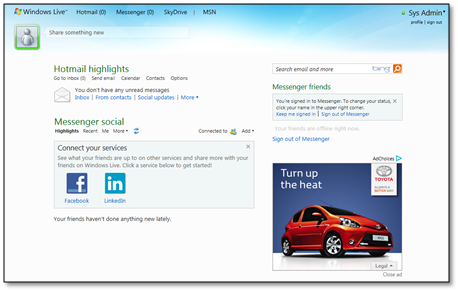 Hotmail – You must use a ‘Hotmail’ domain email. Microsoft Online Services ID- This is what you get when you become an Office365 user. All of which serve to provide external users with a user account that can be used by an Office365 admin to invite them into an Office365 SharePoint collaboration environment. The first two listed will establish a Microsoft Live ID account on www.live.com whether you want it or not. 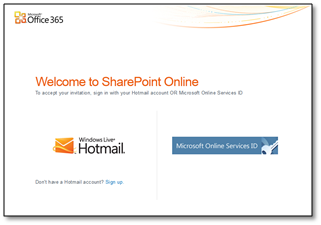 For established Office365 uses other companies with Office365 can invite them into their SharePoint collaborations very easily using their ‘Windows Online Service ID’ (Office365 login). The process starts when an Office365 user with the correct administrative rights invites you as a ‘Shared User’ through Office 365 SharePoint. This action will trigger an invitation email to the email address used in the invitation, with a link invitation. The link WILL NOT WORK, unless the invited user has a Windows Live ID or an Office365 account. 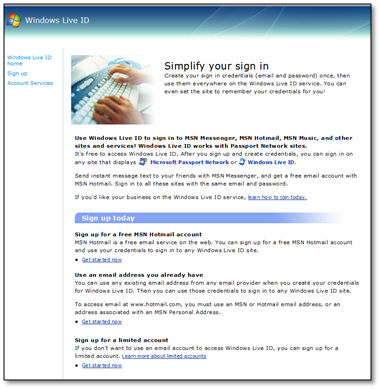 The following process outlines how a user would go about creating a Windows Live ID using their own email (not a Hotmail account). Why not use a Hotmail account? If the employee leaves the company you have engaged then they lose access to the email account and that act provides a degree of user control for you. A corporate account is unlikely to be shared with family members or left open on home PC’s that could see uninvited eye’s finding their way into what should be controlled environments. One final benefit of using a corporate email address is the ability to do Lync federation. This is beyond the remit of this blog, but in summary companies can federate Instant Messaging and enjoy the benefits of presence awareness with external parties. Accessing the SharePoint Online resource thereafter. The following has been drafted so you can easily cut and paste it into a word document and use it yourself to guide your prospects. 1. 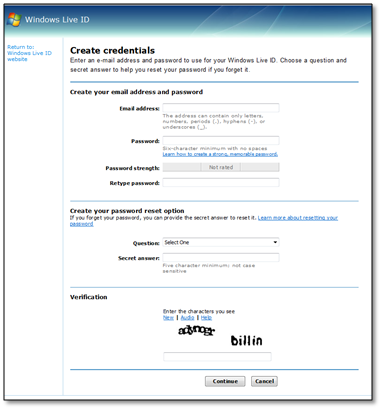 Do you have an existing Windows Live ID? There are some circumstances that will mean you already have a Windows Live ID for example your organisation is an existing Microsoft Office 365 customer and you are using Microsoft Office 365. 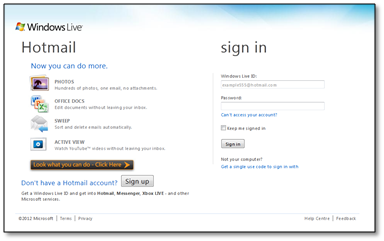 If you already have a Windows Live ID with your corporate email address then you do not need to create a new one. You can jump straight to 3. 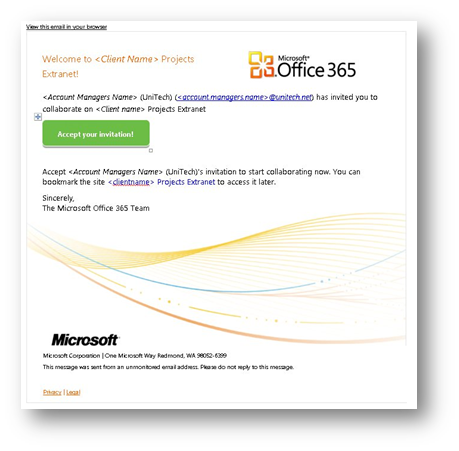 ‘Accessing Office365 SharePoint’. NB: – Use the URL above, other Hotmail or Windows Live account creation links do not provide the flexibility to use your own email address. b) Select ‘Sign Up’ in the left hand menu which will take you to the following screen. c) Make sure that ‘Yes, use my e-mail address’ is selected and select continue. e) You will then be presented with a ‘Review and sign the Agreements’ page. To accept, simply re-enter your desired e-mail address and click the ‘I Accept’ button. f) You will then be directed to a default Windows Live Home Page. No further action is required here, you can at your leisure investigate the features and functionality that this offers, but it has no further bearing on the Office365 purpose for this account. The creation of the Windows Live ID account is what is important. a) Access the Invitation to collaborate e-mail that should have arrived in your corporate email In Box. It should look similar to the image below. Click on the button labelled ‘Accept your invitation!’ You will be automatically directed to the collaboration site that you have been invited to. NB: Existing Microsoft Office365 users may not see a login prompt as they are likely to already be logged in using their corporate email to their own corporate Microsoft Office 365 environment. Microsoft conveniently does the authentication in the background recognising the user. c) You will be directed to a log-in page where you should enter your desired e-mail that you used when creating your Windows Live ID and also, the Password that you chose when setting this up (Image also below). d) After you have entered your Credentials to this page you are ready to begin collaborating. e) Please bookmark the link for ease of future reference. I hope the above proves useful, if you find as I am sure it will, the process evolves as Microsoft consolidates its own systems please feel free to contact me to get this page updated if I have not done so already.